﻿ Cold Chain - Zoneco Group Co., Ltd. Developing cold-chain logistics distribution industry is the strategy for Zhangzidao group which has three subsidiaries of cold chain logistics group at the end of 2012: Dalian Zhangzidao central refrigeration Logistics Co. Ltd. , Zhangzidao Island of Dalian Jin Tong Cold Chain Logistics Co. Ltd and ZhangzidaoJINDA (Zhuhai) Fresh Refrigerated Transport Co. Ltd. Currently, the cold chain logistics business group offers customers third party cold chain logistics services including international refrigerated cargo, international cargo agents, cooled cargo storage, cooled cargo storage distribution and line haul. Dalian Zhangzidao Central Refrigeration Logistics Co. Ltd.
Dalian Zhangzidao central refrigeration Logistics Co. Ltd. was a joint venture by Zhangzidao island group, Japan Central Fishing Co., Ltd. and HOUSUI in 2012, specializing ininternational ocean fishing resources trades and cool storage and logistics services. It plans to invest the first-period 3.3 billion of yuan to construct 50,000 tons of freezers which occupy around 59,6000 square meters, and the area of astructure occupied 44,3000 square meters with 13 rooms and six floors (the sixth floor adopted the design of fully automatic shelves). The temperature of the freezers is controlled between -20℃～-25℃ with the most advanced ammonia-carbon dioxide cascade refrigeration technology which could have low energy consumption and the function of emitting low carbon and protecting theenvironment. The technology could also help to avoid the loss of products by frost and winds with the purpose of guarantee the quality and safety of products. The device uses Japanese air expansion refrigeration technology. 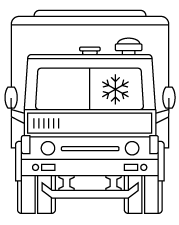 It regards air as acoolant instead of freon and ammonia refrigerant so that there is no harm in letting those gasses, which is quite safe.The company plans to invest four five-ton freezers within Dalian bonded port, providing services whose service function is to provide international aquatic product purchase, trading, demonstration and cold chain services. Through cooperating with wholesale operators of international oceanic fishery resources, the company has built up the channel and platform for global ocean food material matching and trading platforms covering the aquatic products processing industry in Shandong and Liaoning. Through our common efforts, we have made Dalian bonded port as international aquatic product collecting and distributing center and logistics center, providing consumers with high-quality, healthy and safe food. The construction of thefirst-period freezer perfects the service function of Dalian port and to provides the complete service function guarantee to make Dalian as East Asian shipping center, providing strong support to make Zhangzidao Island Group as a respective and excellent global marine food enterprises. ZhangzidaoJINDA (Zhuhai) Fresh Refrigerated Transport Co. Ltd. 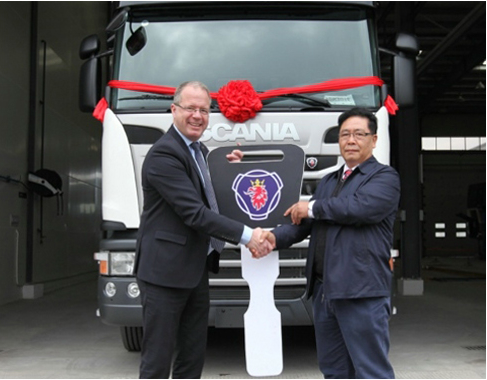 In 2012, Zhangzidao Island has purchased the first leading professional fresh refrigerated transport enterprise-- Zhuhai Fresh Refrigerated Transport Co. Ltd., setting up a company named ZhangzidaoJINDA (Zhuhai) Fresh Refrigerated Transport Co. Ltd. The company engages in the distribution of fresh aquatic products such as fish and shellfish and sideline products such as vegetables, fruits, and meat. The company has 24 famous international truck- SCANIA large refrigerated transport vehicle that has the nickname ‘the king of the road.' All the devices are equipped with the generator set and refrigeration unit of American Carrier and ThermoKingand the first high-end CIMC reefer compartment. 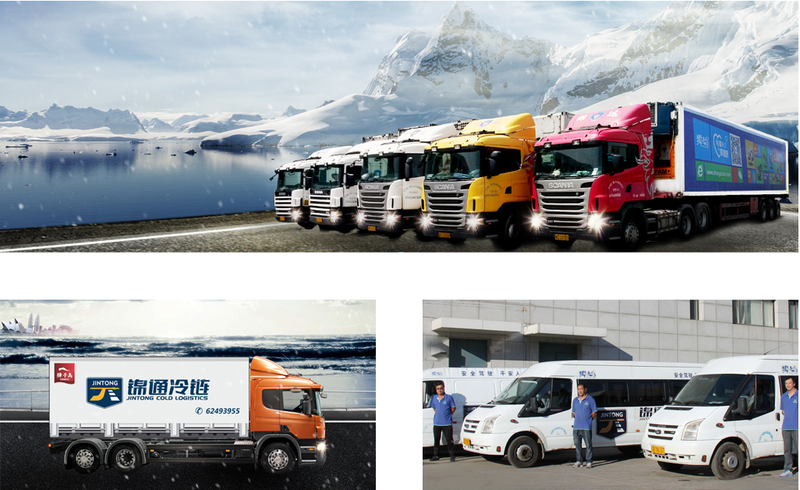 ZhangzidaoJingda engages in the business of distribution with excellent hard-wear and the most professional fresh refrigerated transport driver team. The distribution area of the company covers major domestic cities. As the ‘temperature control transportation expert,' the company stores and distributes food based on the required temperature of fresh food, providing the safe, timely and professional modern, fresh frozen logistics service. ZhangzidaoJINDA (Zhuhai) Fresh Refrigerated Transport Co. Ltd. has the logistic concept of ‘taking the baggage of consumers important,' providing the high-quality service, standardized management, leading technology and strong resource integration ability, taking the lead in the domestic refrigerated transportation industry. Zhangzidao Island of Dalian Jin Tong Cold Chain Logistics Co. Ltd specializes in constructing cold chain logistics service network, transportation network and offering cold chain logistics services including storage, transportation, distribution and circulation process. The company has 2000 tons of distribution database in Dalian Jinshi and delivery fleet with reasonable collocation. The warehouse used the modern design and construction of freezers, owning the professional refrigerated warehousing management team. The company has gained lots of international certifications such as ISO9001 and HACCP,meeting the demands of storage such as providing marine products and meat products. At the same time, the company also offers customers with cold chain logistics services such as quick and professional cargo agents,flight orders, air expresses and railway transportation.